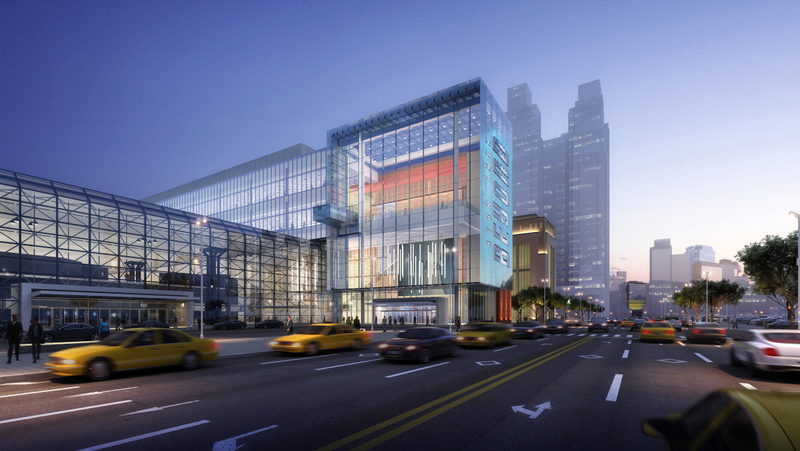 Construction on the new expansion of the Jacob K. Javits Center is taking shape very quickly. Steel columns, beams, and large diagonal trusses can easily be seen rising above the original building from the street and from across the Hudson River, with multiple yellow construction cranes swinging and lifting the structural components into place. 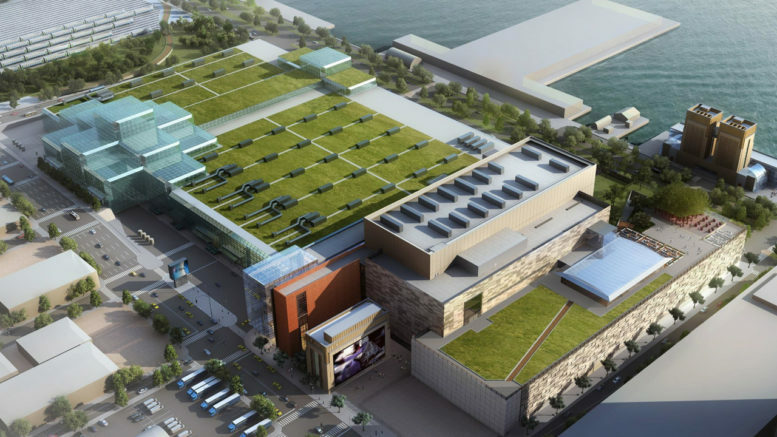 Earlier this week, Empire State Development selected Lendlease Corporation and Turner Construction Company to build the 1.2-million-square-foot expansion at the Jacob K. Javits Convention Center, located at 655 West 34th Street in Hudson Yards. 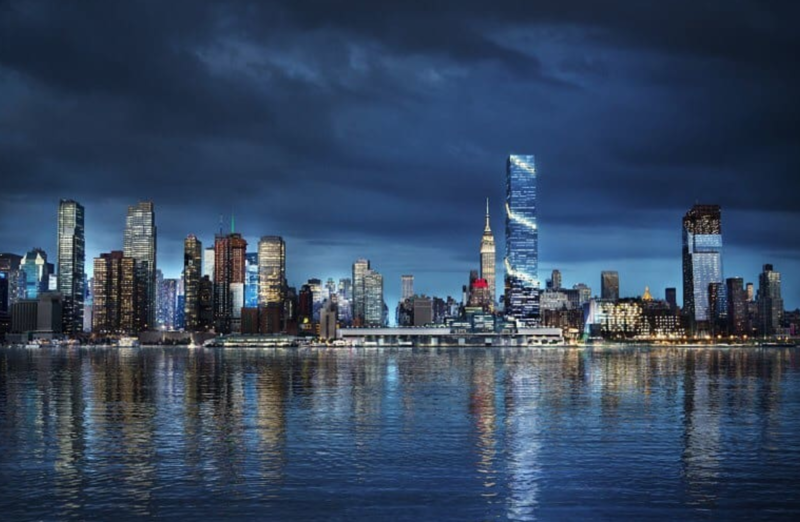 Atlanta-based firm tvsdesign is the architect on the development team, Commercial Observer reported, and has presumably replaced FXFOWLE Architects.